Are you aware of the Benefits of TSS Pro 600 Stabilizing Sealer? Our company’s initially created this sealant to assist in providing a better grade of sealing services to our clients. Here’s a little more information about one of this month’s featured products. 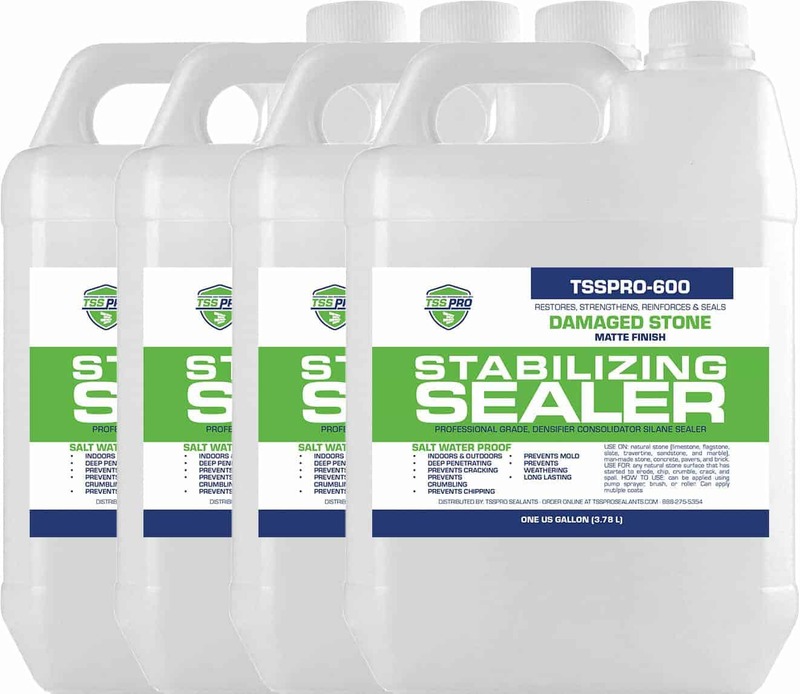 The TSS Pro 600 Stabilizing Sealer is a specially designed silane product stabilizes and strengthen various natural stone surfaces. It penetrates beneath the surface of the natural stone and seeps into the weak points up to ten inches deep. 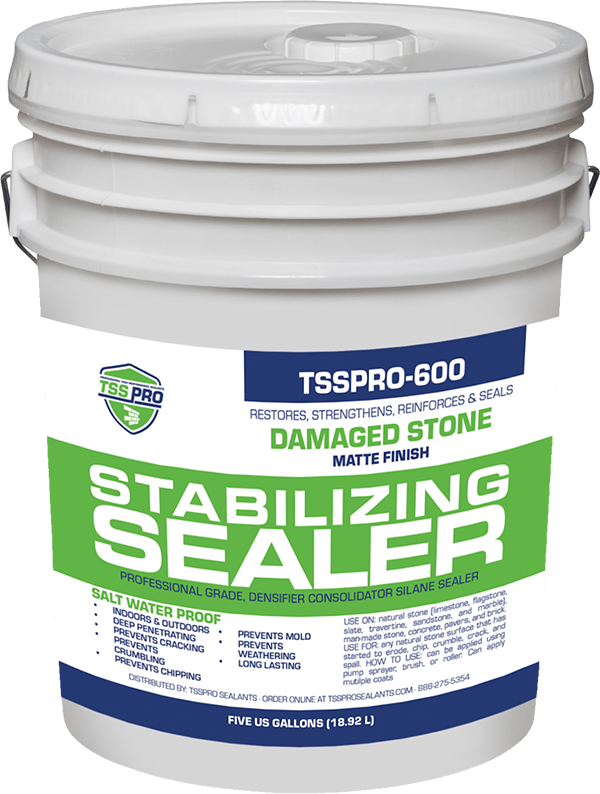 As a result, the TSS Pro 600 Stabilizing Sealer can stop the process of stone erosion and prevent further damage to the stone. The formula of this product combines stone sealant compounds traditionally used with strong adhesives. This sealant naturally replaces the stone binding materials which have deteriorated over time. Although the TSS Pro 600 Stabilizing Sealer is easy to apply, we still recommend our clients to consult with our professionals to prevent a small problem from becoming a big, costly issue. We cannot guarantee permanently stopping the natural process of erosion and decay, but our product can restore damaged stone and stabilize it from further damage. All in all, the TSS Pro 600 Stabilizing Sealer can notably extend the life of your surface. TSS Pro developed and patented our stone, tile, and concrete sealers as a solution to our frustrations with famous sealants due to their inconsistencies. The formulated sealants are formulated to provide long-lasting protection to our customers. As a result, we can confidently offer a warranty on all of our sealing services. We feel our sealants can pass the test of durability and the test of time. For more information about our company and our products, you can contact us at 888.958.0556 or visit our website here.